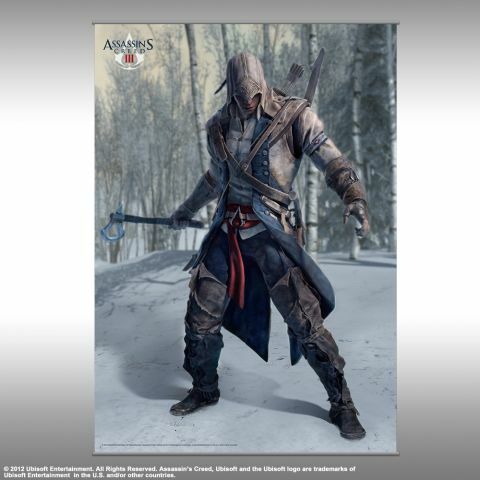 These gorgeous wall scrolls feature the hero of ASSASSIN'S CREED III, the man known as Connor, capturing moments from his adventure in 18th century America as he stalks his enemies. Memorable scenes are brought to life in beautiful detail in these wall scrolls. Unrolling elegantly without creases, lines or curling, a wall scroll makes for the perfect decoration for home, office, or dorm.